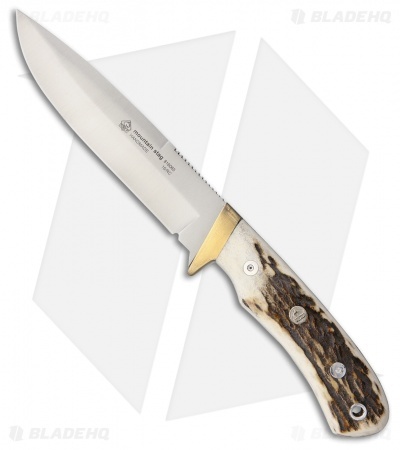 The Puma Mountain Hunter fixed blade knife can make quick work of even the largest animals. The 440C stainless steel blade features a strong point, generous belly and long flat edge for slicing. Naturally dropped stag handle scales provide a comfortable grip and include an inlayed Puma medallion. A polished brass bolster adds an aesthetic touch while doubling as a functional hand guard. 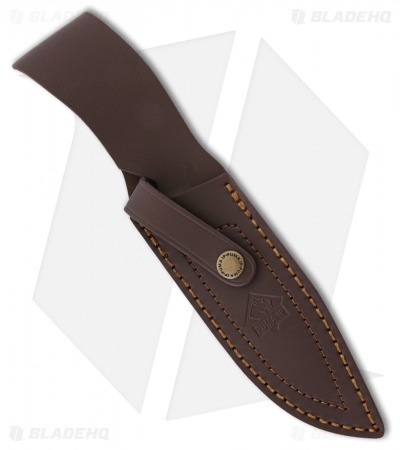 Includes a brown leather belt sheath for easy carry.